The great recession has changed the accounting and finance landscape forever. As a result, the expectations for accounting and finance professionals have changed irrevocably as well. Trent Beekman and Doug Greene, Jr.
Accounting Principals is a leader in finance and accounting staffing. With every assignment, we seek to prove our value to candidates and clients. Our people-focused approach is what sets us apart. 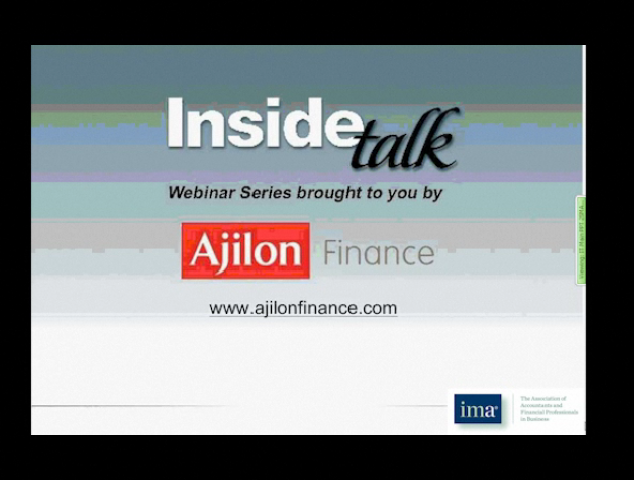 Please join us quarterly for live company and IMA webcasts that feature the latest news and updates for accountants and finance professionals.